During a tournament for the game in Japan, Arc System Works has announced that they will be bringing Under Night In-Birth Exe:Late[st] (more commonly referred to as UNIST) to PC through Steam later this summer. The fighting game, developed by Melty Blood creator French-Bread, will be launching on Steam on August 20. 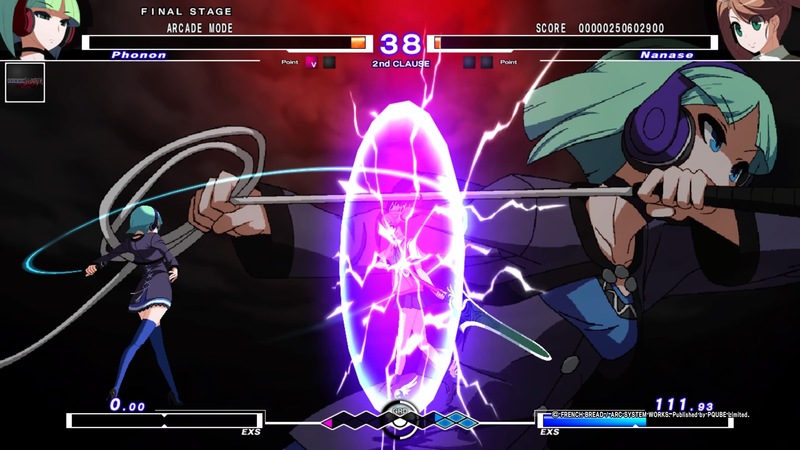 UNIST is the most recent update to the Japanese arcade fighting game Under Night In-Birth. It adds playable characters Phonon, Wagner, Enkidu and Mika, as well as rebalancing the original 16 characters and adding minor new mechanics. UNIST originally launched on PS3, PS4 and PS Vita in Japan in July 2017, following in North America and Europe on February 9, 2018 courtesy of Aksys Games and PQube respectively. If you’re curious about the game, you can find our review of the PS4 version here. In a nutshell, the game is one of the finest fighting games available, and it makes me very happy to see it gaining traction outside of Japan since the English release and some of its characters appearing in BlazBlue Cross Tag Battle. Assuming the PC port retains the quality of the console versions, hopefully this will only add to its already-growing popularity in North America and Europe.